Behind the scenes at luxury G8 hotel Jump to media player Chris Buckler goes behind the scenes at the G8 summit venue in Northern Ireland to get a sense of what awaits the global leaders. 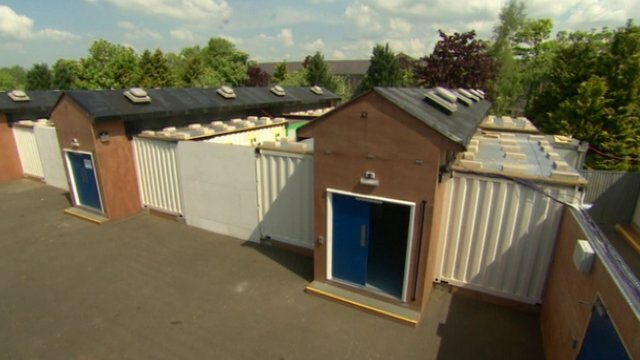 Temporary cell blocks for G8 arrests Jump to media player The police, prisons and courts in Northern Ireland have plans in place to deal with up to 260 arrests a day, if needed, during the G8 summit. 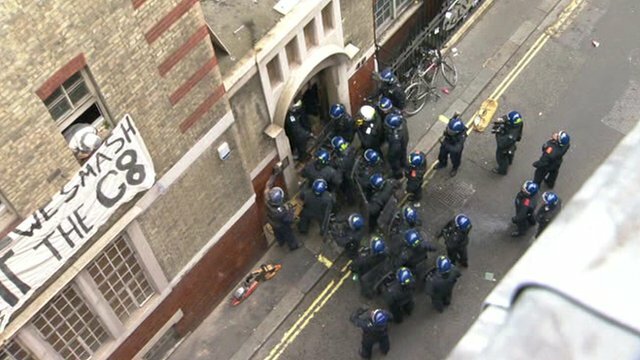 London police clash with G8 protesters Jump to media player More than 30 people have been arrested after anti-capitalist protesters clashed with police in Central London. 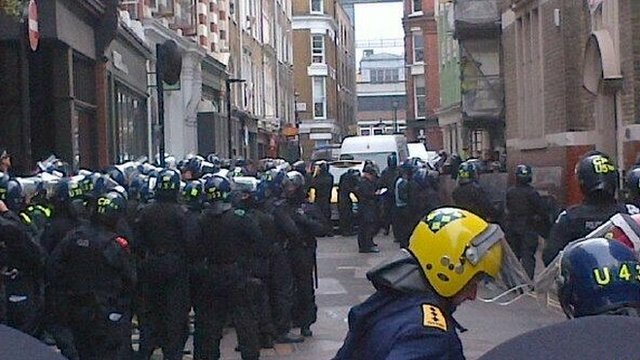 Officers storm G8 protest building Jump to media player Riot police have forced their way into a building in Soho, central London, as protests were staged against the G8 summit. Klass: G8 cannot ignore rally message Jump to media player Thousands of people have gathered at Hyde Park in London calling on the G8 group of wealthy countries to do more to help tackle global hunger. 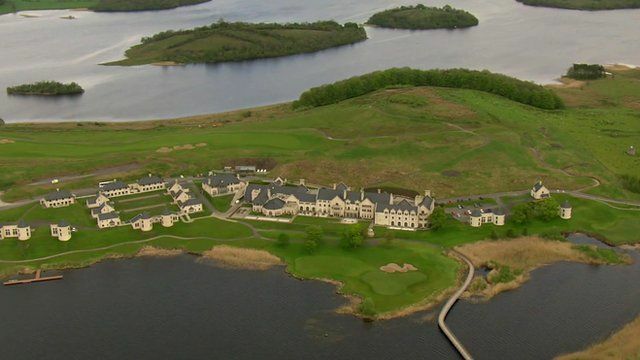 Final preparations are being made at Lough Erne in County Fermanagh, Northern Ireland, ahead of next week's G8 summit. The five-star hotel and golf resort will host two days of talks between the leaders of the UK, US, Germany, France, Japan, Canada, Italy and Russia, as well as representatives of the EU. From the conference room to the kitchen, Chris Buckler went behind the scenes at Lough Erne to get a sense of what awaits the global leaders.